You always do your best to improve your clients’ content performance. You analyze their competitors and industry. You create relevant and useful content. However, far too often, you’re completely forgetting about the most important part of content marketing: content promotion. You’re too focused on managing your content plan and want to produce more articles. You don’t realize that by skipping content promotion, you’re simply depriving their business of profit and value, because such content doesn’t reach its intended audience. That’s how time gets wasted. 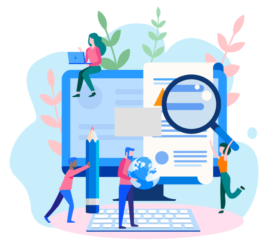 According to a recent study by Content Marketing Institute, various organizations across North America have started to approach content marketing differently – and the results are positive. Forty-five percent of B2B content marketers believe that their company’s content marketing success has increased. The biggest reasons they cite for this: they’re doing a much better job creating content (85 percent) and developing and fine-tuning their content marketing strategy (72 percent). So it looks like the industry’s morale has finally improved. This news has inspired me to share with you 10 hacks that will help you promote your content without sacrificing anything or spending sleepless nights looking for answers. The ideas listed below have proved to be extremely effective and were discovered during various experiments, through trial and error, so you can start using them right away! Reach out to an expert, or maybe a few of them, with a question and quote them in your next piece of content. Contact someone you’ve already established a connection or collaborated with. Building and nurturing a relationship with a new connection takes a lot longer than working with someone who knows you and your work. In case you don’t have any industry experts among your friends or acquaintances, reach out to at least 10 people. Typically, about 10 percent or less of the people you contact will respond. And they may also take time to answer you back. To speed things up a little, go on Twitter and LinkedIn and shoot these experts a direct message. Then follow up with a detailed email explaining the reason why they should spend their time answering your questions. One of the best ways of getting the word out about your new article is by creating a short survey and distributing it to your list of experts. (If you don’t have a list of experts, you can easily make one in BuzzSumo.) That way, you’ll get to ask all the burning questions you have without making your message look too lengthy. The easiest and fastest way to spread your survey is by posting it on Twitter. You can create your survey on any platform you like. Recently, I’ve started to work more in TypeForm – an interactive online form service. 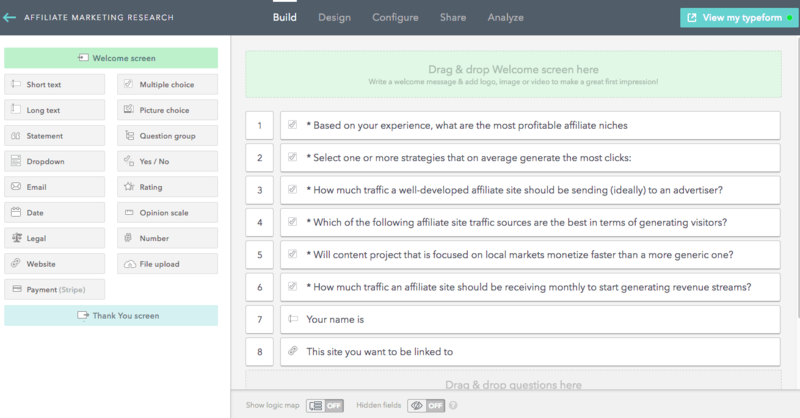 It’s an easy-to-navigate platform that helps you craft your survey. When drafting your survey questions, make sure to ask your experts for their contact information so that you can let them know when your piece of content is ready. And, of course, distribute the results of your survey via Twitter among the experts who participated in it, tagging all of them, and thanking them for taking the time to answer your questions and share their expertise with you. Videos get at least two times more engagement than any other form of content. Also, according to Animoto, one of the leading online video creation platforms, 4 times as many consumers would prefer to watch a video about a product than to read about it. Another great thing about videos is that features like autoplay really help them go viral faster. If you decide to record your video on an iPhone or iPad, then you need to pay careful attention to the quality of your audio. Use a lapel microphone and also a second iPhone or iPad device for an additional audio recording. Besides that, you can use a special program like Voice Record Pro, which will help you record high-quality audio. How many times have you seen videos recorded with either shaky hands or while the capturer is in motion? Watching videos like that can get annoying, especially when you’re trying to focus on what the person in this video is talking about. To avoid unstable video footage, invest in a tripod. It doesn’t cost much and it will help you dramatically enhance the quality of your video. Add animated content to your videos to help make them distinctive. People love watching videos. But if you really put some effort and design work into creating one, they will not only love it, they’ll share it and make sure all of their friends and colleagues watch it, too. Your video message will be remembered. To some people, animation sounds like studio design work. Luckily, there are freelancers who will be glad to help you! But remember, if you want to get exactly the type of animated video you ordered, you have to meticulously describe how you want things to appear in your video. Trust me, being obnoxiously particular at the beginning of your collaboration with a freelancer will save you a lot of time and money! Create shorter version designed for Facebook and Twitter. Would you really watch a lengthy video while you’re on Facebook or Twitter? Nobody has time for that when these two platforms are concerned. Create a longer version designed for YouTube. YouTube is the place where you can pour your heart out while delivering your video message. So knock yourself out, but make sure you keep it relevant. If you’re on a shoestring budget and can’t afford to spend your time and resources producing a full-fledged video, then GIFs are your best bet! GIFs are a perfect match for promoting your content on both social media and via email marketing. But GIFs don’t always magically work with a company’s content marketing strategy. Use them responsibly after analyzing your audience’s behavior. 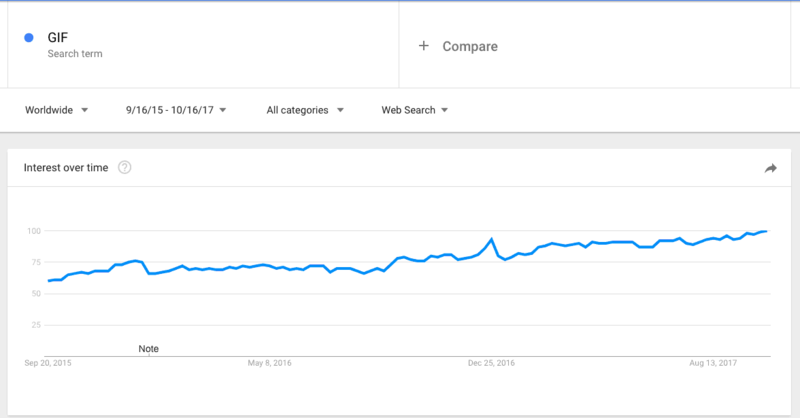 And, apparently, GIFs have been trending for a really long time now, according to Google Trends. If you’re still not using these cool techniques to get prospects’ contact information, you are seriously missing out. 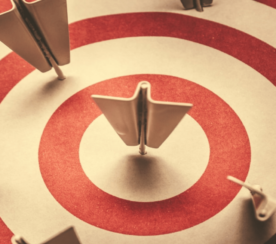 The goal of a lead magnet is to maximize the number of targeted leads you can collect on the page your content is published. Offering to register for a webinar. Pick a topic that either supports the subject of your piece of content, or logically continues the discussion. Invite an industry expert, or several of them, and let attendants interact with the guest of the webinar by letting them ask questions or participate in the discussion. Providing additional information. The best forms for presenting additional information you’d like to share with your users are e-books, whitepapers, case studies, and success stories. All these great materials can help strengthen your brand’s credibility. Sharing useful, ready-to-use templates. We’re all super busy. So whenever there’s a way to complete a task quicker, it’s silly not to take advantage of it. People will thank you for sharing templates with them. It can be anything: a template for a pitch letter, an email, or a landing page. Another great feature you should be taking advantage of are paid ads. If you want to start advertising on Twitter, create a custom audience in advance using either Followerwonk or BuzzSumo. By being able to manually select which users to target with your promoted post, you can be sure your post only reaches your potential clients. 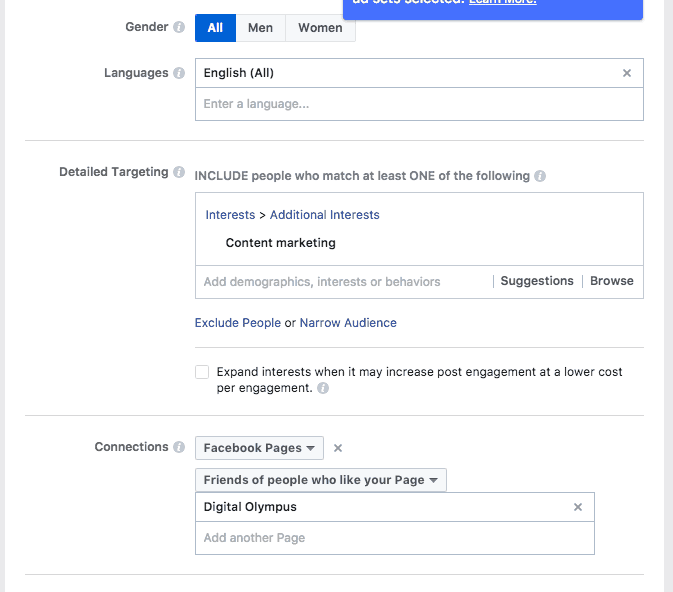 To do that on Facebook, set up for your ad promotion to target both your Facebook fans and followers, but make sure they have previously expressed interest in your product. Ad settings and filters will help you select the right type of audience. For instance, if I wanted to successfully promote my article about content production, in the ad’s settings, under the ‘Interests’ section, I would specify a parameter that people should have either liked tools for content marketers previously or have content marketing listed among their interests. Typically, no more than 30 percent of visitors are willing to give you their contact information. The rest of them will either skim through your content or close the tab and get back to what they were doing previously. But you still have a second chance with them. This is where remarketing comes into play. You need to prepare banners and landing pages that are relevant to your content. These could invite your users to join a webinar or offer exclusive content. Basically, you can use the same lead magnets that you’ve already integrated into your content page. Prepare a script to automatically exclude existing clients from your remarketing campaign. There’s no need to bother them. Scheduling your social media posts to go out consistently is only part of the battle. If you really want to stay on the top of your clients’ minds, create a newsletter that will include the content you’ve created. That way, if they miss your post on Facebook, they’ll read about your new article in the newsletter. A lot of interesting things happen in private groups on social media. They’re private for a reason, aren’t they? If there are certain private groups in which you’d like to promote your content, start researching them. Learn who the members of these groups are in advance and create a list of such groups for your convenience. Make sure the image you use for your next content promotion campaign will grab your audience’s attention in a split second. Familiarize yourself with the ad guidelines if you plan to advertise on social media channels like Facebook and Twitter because your post’s preview can make or break your ad’s overall performance. Some people underestimate how powerful Q&A and social media aggregation sites (e.g., Reddit, Quora) can be. There are two definite pros of sharing your content on these websites. You’ll build links. I’m sure you all know how important link building is. The number of times your content is viewed by your target audience will substantially increase. For example, a couple of times I shared my posts on Inbound.org, and 50 percent of overall traffic for my shared articles came from this online hub for marketers. You may sometimes feel like you’ve just created a masterpiece and like everyone in your industry will be talking about your incredibly useful article the next morning because, well, it’s so great. But it’s rarely that easy. Delivering your content into the hands of your target audience is what you should worry about, not the number of posts published on your blog. Content promotion may sound a little intimidating, but it’s so worth it. 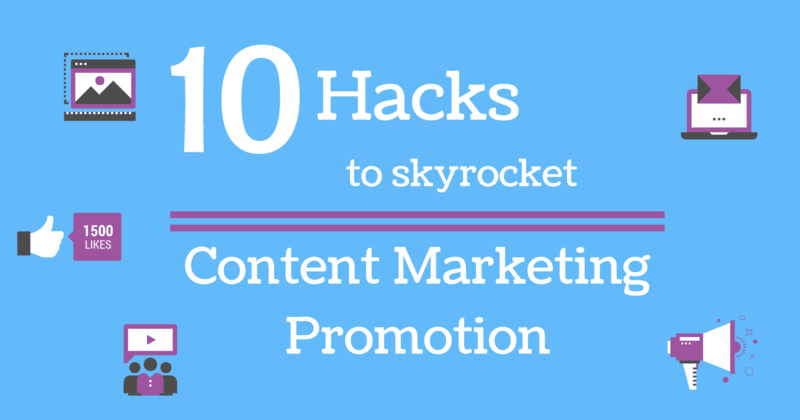 Try these easy hacks and content promotion will become an incredibly joyous, eventful and productive activity for you. Featured Image: Created by Alexandra Tachalova, October 2017. Screenshots by Alexandra Tachalova. Taken October 2017.